Taos Ski Valley is an iconic North American resort. Tucked in the Sangre de Cristo Range at the southern edge of the Rocky Mountains, Taos is imposing, sometimes hair-raising, and always challenging. With its unique southwestern culture and jaw-dropping scenery, every skier should have it on his or her bucket list. 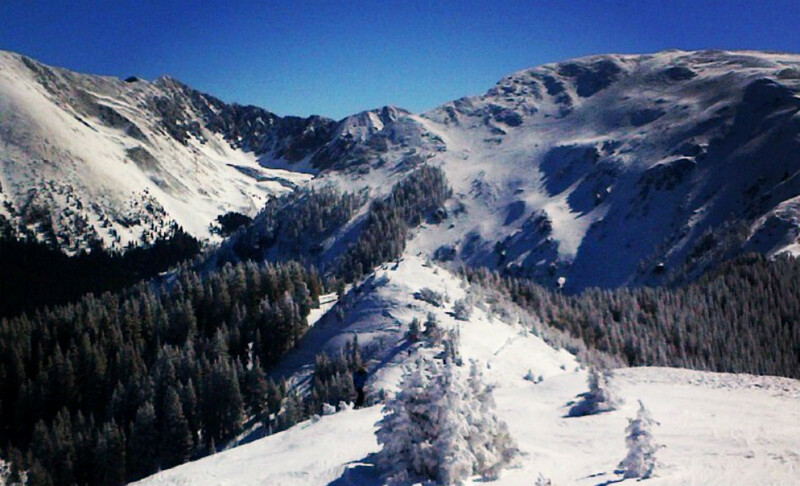 So if you're headed down south, here are 9 things you should know when skiing Taos. 2. See Kachina Peak. For those who don't feel up to the hike (It's a workout but worth it! ), make sure you hop on the new lift. The view from the top of is amazing, and you'll want a photo next to the flags at the peak. Don't be too intimidated by the view from the bottom; if you're a good skier or rider who can handle deep snow, Main Street trail down the face of Kachina Peak is about the easiest double black diamond on the mountain (yes, we know how that sounds). Get up there and change your mind? Don't let anyone make you feel bad about downloading. They're expecting some of that. 3. Do a ski week. The view of Al's Run from the base area is so intimidating to beginners that there's a sign reassuring them that there's plenty of other terrain. While it's true that 49 percent of the mountain is beginner or intermediate runs — if we're counting just the number of runs, and by the way, have you seen what passes for a green here? — that sign should really be a challenge. Take advantage of Taos Ski Valley's renowned ski school and sign up for a week of instruction. TSV is famous for its ski weeks, and there's no better terrain to learn technical skiing and riding. A week here will make other resorts look easy by comparison. 4. Take advantage of the steeps. Taos Ski Valley founder Ernie Blake's friends tried to warn him that the mountain was too steep for a ski area, but instead of listening, he trusted that technology and Americans' skills would catch up with his vision. Who knows what he would think about carbon fiber, full rocker fat skis, but thank goodness Blake didn't listen to his friends because the steeps at Taos are amazing. Many are long and narrow. Some open up at the bottom. Lots don't. It's among the most technical skiing found anywhere in North America, so take advantage! 5. Snowboarders are welcome. They've been welcome since 2008, actually, but apparently there still are some out there who haven't received the memo. There's even a terrain park under Lift 7. To truly take advantage of the majority of the mountain, riders should be able to handle bumps and trees, but no one's kicking you out anymore. 6. Have a beer at The Bavarian. The drive from the town of Taos to the ski valley will take you from pueblo-style architecture to a little Bavarian village pressed against the mountain. One of the best examples of Taos Ski Valley culture is called The Bavarian. Located on the back of the mountain at the base of Lift 4, the restaurant and beer garden hosts thirsty skiers on its deck during the day and diners hungry for spätzle at night. The only beers on tap come straight from Germany and are available in 36-ounce servings. For a special treat, head up on Swiss fondue night during the winter. 7. 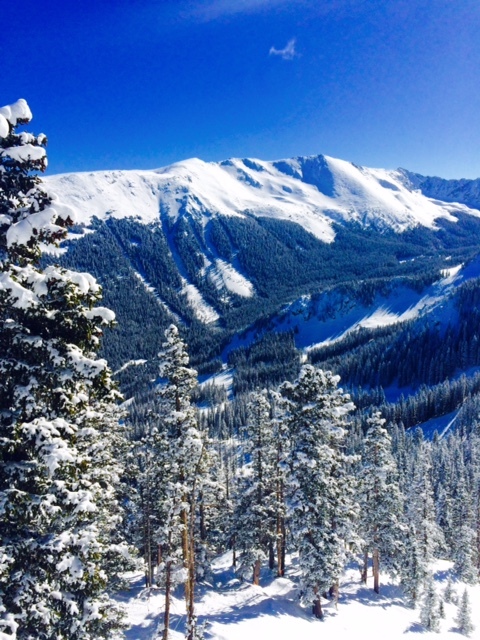 You can enjoy Taos Ski Valley and the town of Taos together. The town of Taos has a rich art history and a huge number of galleries. Splitting nights between staying at the base and staying in town lets you experience a bit of each, and the drive to the mountain in the morning is definitely doable. Taos Ski Valley's central reservations system has lodging partners at the mountain and in town, which wasn't the case only a few years ago. 8. You might be able to see a real pueblo. No promises on this one, but the Taos Pueblo, which has been inhabited for more than 1,000 years, is sometimes open to visitors. Don't just show up on the doorstep and expect to be invited in, as the pueblo is part of a 95,000-acre reservation where privacy and religion trump tourism. They do, however, have a website, with more information on when the pueblo is open and proper conduct when you're there. 9. See the village before it changes. The new Kachina Peak Lift is just the first step in the changes coming to Taos Ski Valley. Plans that have been in the works since before the resort was sold by the Blake family to Louis Bacon include a major redevelopment project at the base area, which involves tearing down the existing skier services building. Over the next few offseasons, the whole base area will get a major facelift and additional lodging. So if you get to Taos Ski Valley before that happens, soak it all in. TP Editor's note: There have been numerous renovations at TSV since this article was written in 2015- come and see the changes!